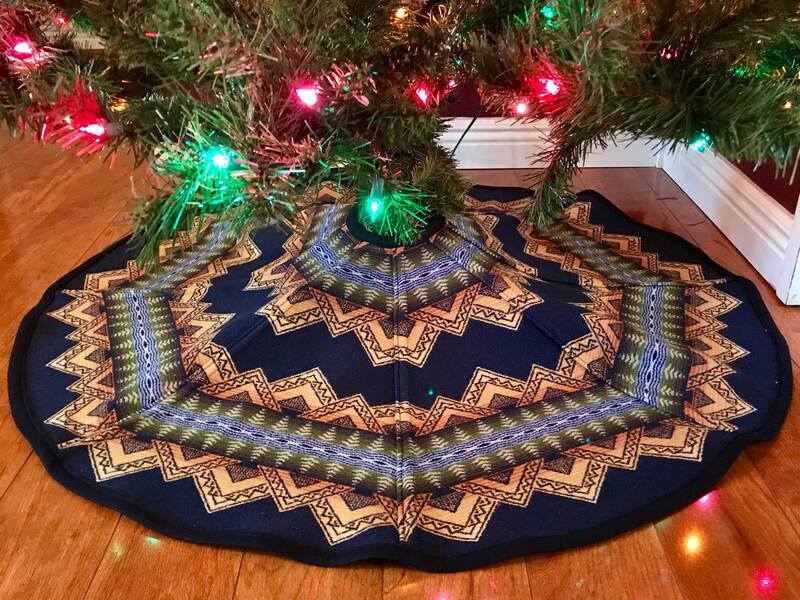 This stunning Reversible Christmas Tree Skirt is handcrafted from high quality Pendleton® coat weight wool. Beautiful and bold to complement your southwestern or cabin decor - durable enough to last for years. Your tree skirt will be shipped priority mail with signature confirmation to ensure it’s safe delivery.